Cats are carnivores; they need meat and fish and only small quantities of vegetables, fruits and herbs. You could say that Acana tries to mimic your cat's original diet. 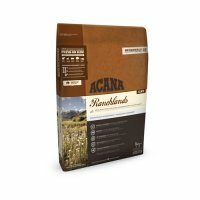 Acana produces animal food according to the Biologically Appropriate principle. This cat food consists mainly of fresh ingredients that are also approved for human consumption. They use the best fresh ingredients from the region. All ingredients are grown or caught in a sustainable way and delivered by local suppliers to the professional kitchens of Acana. In addition, Acana food does not contain any added colourings, aromas or flavourings. 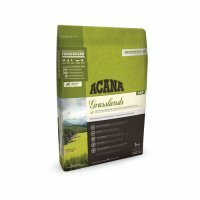 These ingredients are delivered fresh daily and processed by Acana. 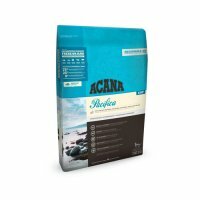 Acana cat food is available as Acana Regionals. This food contains a variety of fresh meat, fresh fish and different kinds of fruits, vegetables and herbs. An example of this delicious food is the Acana Pacifica Cat & Kitten Regionals. This dry food contains delicious fresh white fish that are sustainable caught in the Atlantic Ocean. The omega 3 fatty acids provide additional muscle support. 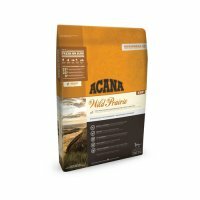 Another delicious food from the Regional range of Acana is the Acana Wild Prairie Cat & Kitten Regionals. This cat food produced by Acana contains fresh meat and is a great source of protein. This in turn provides additional muscle support and is low in carbohydrates. Above all, Acana cat food is grain free.